Compact, stevig en bovenal breed inzetbaar ivm 120Mhz schakelbereik. Freq. 600 -715 MHz. Audio Limited compatible. Compact, stevig en een uitstekende klank; 64Mhz schakelbereik. Freq. 600 - 664 MHz. Micron compatible! Compact, stevig en bovenal breed inzetbaar ivm 120Mhz schakelbereik. Freq. 600 -715 MHz. Micron compatible. 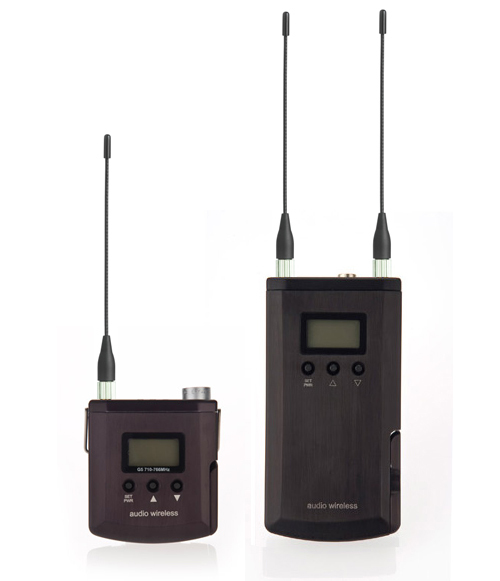 Custom designed to distribute antenna signals and dc power for whole of the Sound-bag. Digitally Tuned Diversity Antenna Distribution Module. Pouch for Log Periodic Dipole Array antenna for Diversity reception.